Our Natural Night Rebuilder Cream helps replenish those precious ceramides that you wash away daily. Ceramides are natural lipids that act like “the mortar between the cells” to build firm skin night after night. Intelligent Beauties also use Night Rebuilder Cream during the day, when they don’t need a sunscreen. Naturally-preserved. Gluten-free. Vegan. Not tested on animals. 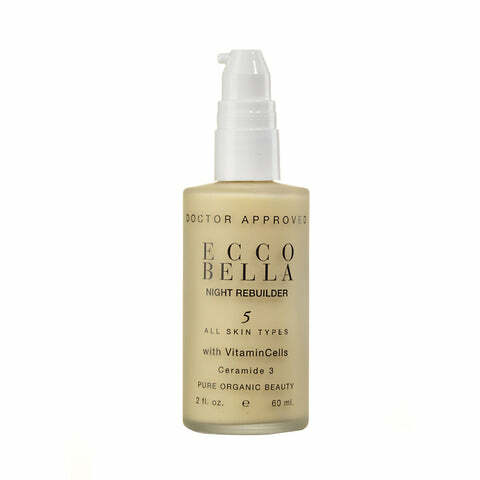 This organic night cream is recommended for sensitive, rosacea and all skin types.